A PMO, as most of the agile community thinks about it, is a place for project managers, program managers, and their evil minions to control every facet of a “project” to maintain the adherence to a plan that was obsolete exactly 18 seconds after it was signed by the project sponsor. I have been in companies, even recently, that this is exactly what a PMO is. But it doesn’t have to be like this, instead, there can be an Agile Coaching Team, or “ACT”. A PMO’s purpose in a traditional (non-agile) project management scenario is a group of project management professionals ensuring the project is on track, on-time, on-budget, and on task, at least as best as they can, depending on the management structure. An Agile Coaching Team is an Agile PMO. It is not different in purpose from a traditional PMO, merely execution. Like comparing a Project Manager and a Scrum Master. Yes, they are vastly different in their tools and methods and even mentalities, but in the end, their overall purpose is the same: to ensure the project creates a correct product in a satisfactory manner in an acceptable time frame. An Agile Coaching Team should, therefore, act as an enterprise coach. 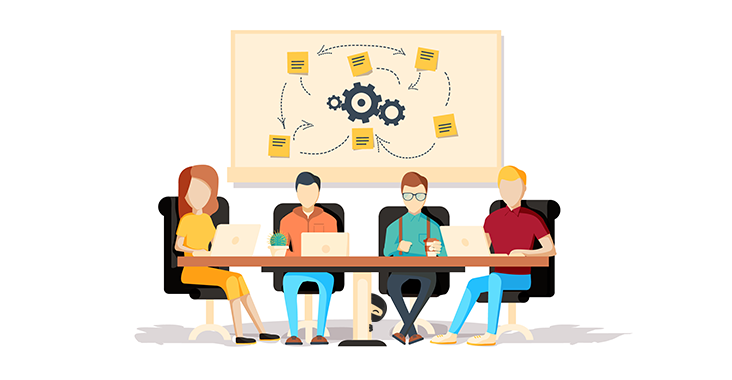 How great would it be, if you were a Scrum Master with a lot of experience in Scrum, but very little exposure to Lean or XP, had a team you could turn to so that you could bounce ideas like adding BDD or Pair Programming to your Scrum team? Or, if you were having trouble convincing a middle manager that Scrum is not the harbinger of the management apocalypse, you could ask an Agile Coach for other perspectives from their experience. This is exactly what an Agile Coaching Team should do. The Scrum Masters and Coaches are all part of the ACT. For larger organizations, also the SAFe and Less coaches. This way, there is now an effective team, focused on executing Agile methodologies and frameworks, together as a team, in a professional and efficient manner. Aside from coaching, the primary function of an Agile Coaching Team, the ACT would also be responsible for portfolio management. A huge number of organizations use JIRA, but it is horrible for any kind of management of Scrum teams beyond 1:1 team to project ratio. Tools like CA Agile (formerly Rally) and Version One do a much better job of this. Both tools have connectors to JIRA, leveraging the team focus of JIRA, as well as the deep integration into other tools like Slack, Jenkins, Docker, etc., but giving the ACT the ability to “program manage” or in report on the overall project status. This allows the Scrum Masters to be focused on their team and the ACT supports them by managing the portfolio level reporting. If you are part of a multi-team project, using Agile, maybe it is time to create an Agile Coaching Team. Get an Agile Coach in there that understands the true value of enterprise level change management, and create a team that the teams want to come to for help and support. Let the ACT focus on the cross-team communication, execution, and reporting, and viola, you now have an Agile PMO. But please just call it an ACT, that way we don’t get confused with that other “thing”.